A Moroccan in Taipei: Hicham Baba at work at his stall. For Hicham Baba, rustling up custom for his fledgling food stall was no trouble. “Taiwanese are very willing to try,” he says. “As soon as I opened, there were many people interested.” Serving up ciabattas with a Moroccan twist, Baba’s Crazy Kitchen is incongruously located across the road from Qiyan MRT station in Taipei’s Beitou District. 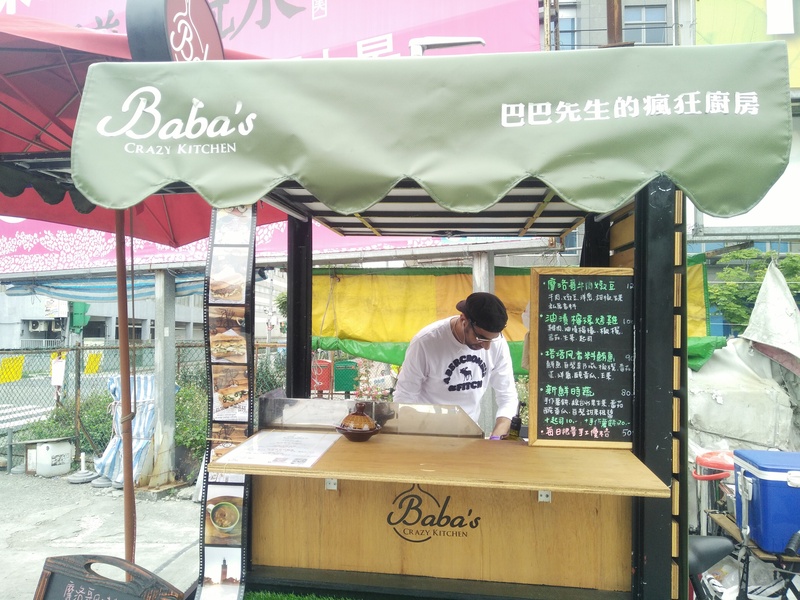 Like many purveyors of unfamiliar foreign fare in Taiwan, Baba needed to make some slight adjustments before setting up shop seven months ago. “I had to change the flavor a bit,” the 39-year-old Marrakesh native admits. “In Morocco, we use more spices, but it wasn’t much problem.” The only real thing that bemused him was the geographical ineptitude of some of his customers.